The serenity of unity and oneness is beyond any physical terms. Once one reaches that space of silence within the mind, duality no longer exists, and the energy of separation that lives among us today is no longer an obstacle. From a space of serenity, i completely realize the oneness of human beings with all there is. 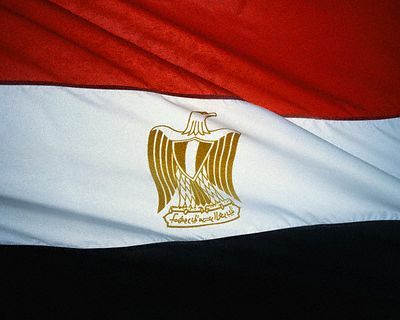 To Egyptians i speak, if you want to be fair today, do not take sides, if you want to be fair today do not label others, if you want to be fair today, do not judge those who do not agree with you. It is time to make a shift from human being to being human. This land you live on is sacred for it a land of old civilizations and religions. This sacred land of Egypt is mentioned in the holy books, and is very important to all human being, it represents warmness, and peace. 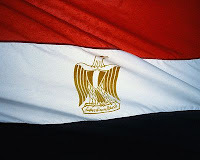 The people of Egypt themselves are the essence of kindness and peace. The separation, and duality you see now in this beloved country is because of the shift; It is always difficult for a sick body to detox, and heal, it takes change, and change is always difficult. Egyptians, those of you who want to be of service today should not take sides, they should actually do nothing but maintaining inner peace, and sending light to those who need it until the country makes its shift. This shift is a move from the old energy of duality, and separation to the new energy of unity, and oneness. It is happening all over the world, not just in Egypt. For light workers i speak, if change is difficult, do not make it worse by empowering one side over the other. Remove all the labels you have been sticking on people, and understand that you live among human beings, you are all children of God, those who agree with you, and those who don't are all one with you. Rest assured that one day the sun of unity will rise upon this country, and that day is not far in the future, it will happen soon if you continue to push light. Continue to push light, and darkness will not stand a chance. It does not matter who the president is, or what economy policies are there. It does not matter which group is leading the country, because global consciousness determines the future. Believe it or not, it takes half of ten percent of the population to make a change that is peaceful, and positive. When that day comes, and it will, and Indigo will be in charge as president. A young man who have vision, and who understands what being a human really means. Future will no longer be determined based on past events, and many of you will be in the NOW. Separation happens when we take action based on what happened in the past, and because the past is full of separation, doing this only brings more separation into the now. This is bigger than politics, this is a fact of life. Love & Light to each and every one of you. Thank You!